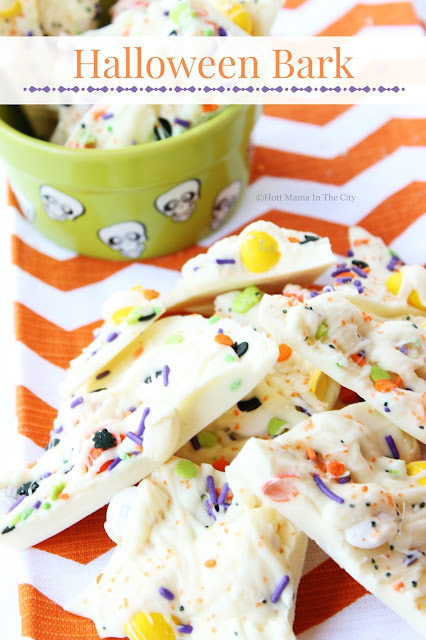 Halloween Bark is an easy and fun recipe to make. 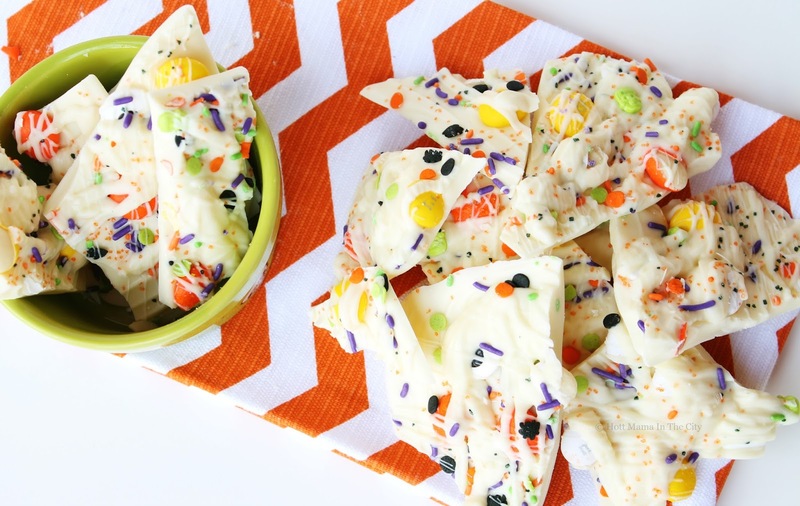 If you love chocolate, you'll love this Halloween Bark! It's a fun recipe to get the kids involved in every step of the way. 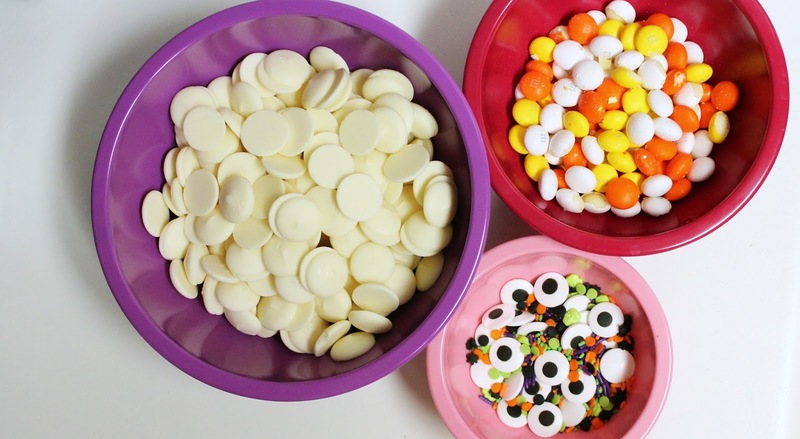 Choose your candy and colors and you're on your way to creating a delicious Halloween treat for everyone to enjoy. Melt white chocolate as directed on the package. Spread half of your melted chocolate onto a cookie sheet lined with wax paper. Top with M&M's and sprinkles. 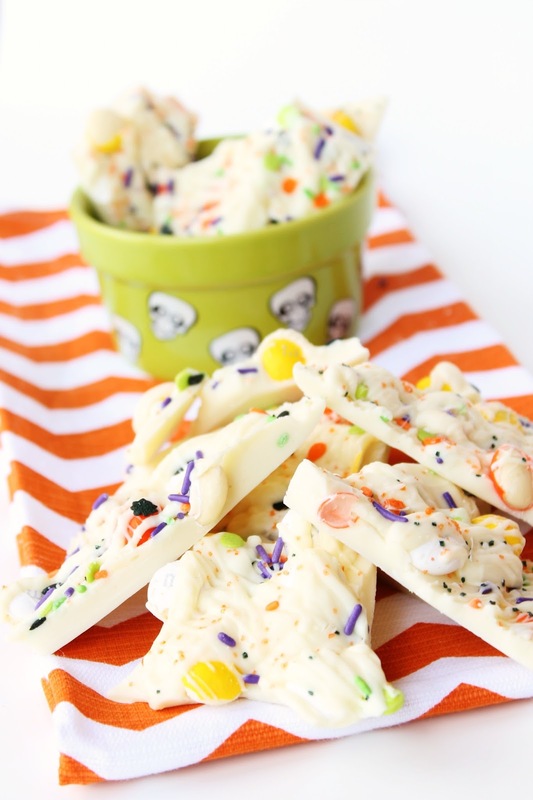 Use the remaining melted chocolate to coat the top of the M&M's and sprinkles. 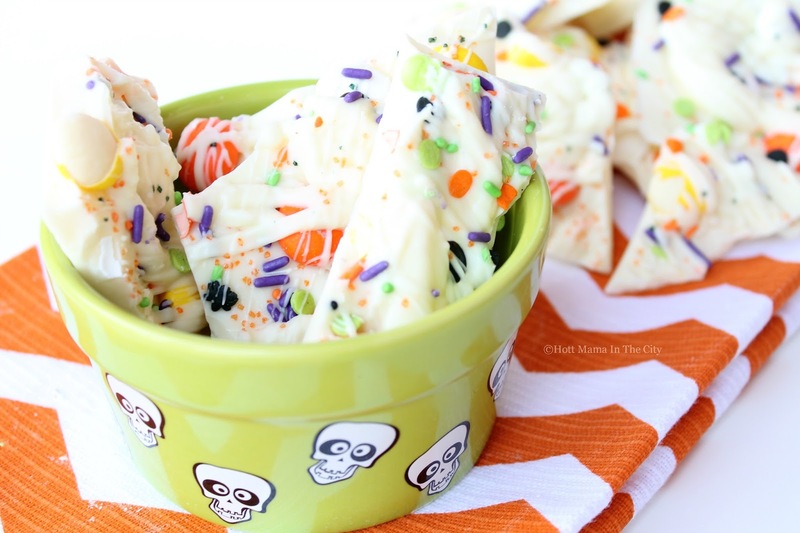 Place in the freezer for 5-10 minutes.